The tools, products, and technologies for improved project delivery are evolving rapidly. You need the news and information about successful model-based design, engineering, performance simulation and ongoing monitoring for improved maintenance. Informed Infrastructure addresses the markets of water/wastewater, storm water, transportation, energy, structures, erosion control and land development. Engage now with Informed Infrastructure, your news source that delivers you actionable information for improving infrastructure. Choose to receive our print and/or digital magazine, and open your in-box to our weekly e-news and video alerts. V1 Media publishes Earth Imaging Journal, Sensors & Systems, Informed Infrastructure, Asian Surveying & Mapping (ASM), and the video news site GeoSpatial Stream. V1 Media is a global integrated media and learning company serving organizations and individuals that measure, model and manage our natural world as well as those that design, develop and engineer today’s built infrastructure. 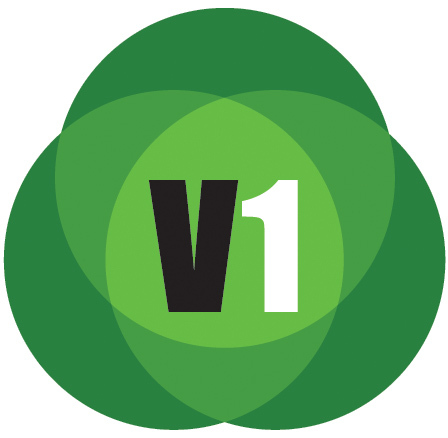 V1 Media is an independent and leading source of international information and news for infrastructure and the environment. With a focus on integrated spatial technologies and processes, V1 Media provides opportunities for delivering focused content to interested readers around the world. We’re interested in stories that describe the development process and technologies that simplify and streamline the process. We’re also interested in case studies about large infrastructure projects with details on the technologies that were used and the efficiencies that were gained. Feature Articles: Featured articles are usually between 1,200 and 2,000 words and can be submitted in Word or Open Document Format. Images may be included and captions should be provided that are clear and concise and relate directly to the image. Image formats can include PNG, JPG, and TIF formats. V1 Media reserves the right to edit all articles for content so they are consistent with the publication style. Please contact a V1 Media editor if you have questions. Columns: We welcome user columns or viewpoints. These are 800 words in length and include no images other than the author’s photo. Content for a column should include an observation or viewpoint that is presented in a professional manner. These are not to be advertorial in nature, but instead provide insight and cause discussion or debate for others to consider and ponder. Writing Style: Written content should attempt to inform readers in a context that they can understand. Articles should not be presented as marketing advertorial but, instead, should convey passion and interest in the topic and how it improves work processes, sustainability and quality of life. It is particularly important to cite references where work is derived from other sources. Contributors should avoid writing in dry technical terms – aim for fluid, insightful, helpful and interesting content. Our Copyright and Terms Policy: Authors submitting articles to V1 Media retain full but non-exclusive rights to their articles. Authors grant V1 Media an exclusive right of first publication of their article plus an accompanying grant of non-exclusive full rights. This grant means that V1 Media is free to use the article in any manner it sees fit in future publications but the author also retains this right. If the author wishes to reproduce the published article for students, print personal copies, or even publish the article a second time with another publisher, the author may do so without obtaining permission from V1 Media provided that full and appropriate credit for first publication in V1 Media is provided in any subsequent electronic or print publications. Our site adheres to this Creative Commons license.